Naturopathic Doctors (NDs) can help enhance healthy living for all working Canadians while contributing to the advancement of best practices in the workplace. They can do this by assisting managers in setting criteria in evaluating the health of employees relative to the specific requirements of their job. NDs are adept to treating individuals who present with complex chronic disease or “presenteeism” (coming to work despite having an illness or condition that justifies an absence). As a direct consequence of presenteeism, employees are accomplishing their occupational duties though their health is suboptimal. From an employers perspective, presenteeism can affect an organization just as much as illness or absence because it directly impacts employee performance and productivity. Presenteeism includes, but is not limited to, times in which an employee comes to work though preoccupied with other thoughts of their own illness, illness of a spouse, child or another family member, is experiencing family/relationship/life pressures or stress and are not giving themselves adequate time to get better and heal. From the employee perspective, conditions such as presenteeism can occur because of the following circumstances: heavier workloads, higher skill discretion that cannot be delegated to colleagues, higher perception of self-efficacy, role conflicts, harmonious relationships with colleagues that cause an individual to not want to have to “let their team members down”, an inability to financially afford to take a much-need day off for rest and self-care, to avoid the culmination of work on return and the associated stress, or because of job insecurity related to restructuring, downsizing or a poor economy. The reasons for presenteeism are attributed to both internal pressures, as well as external, at times uncontrollable pressures. 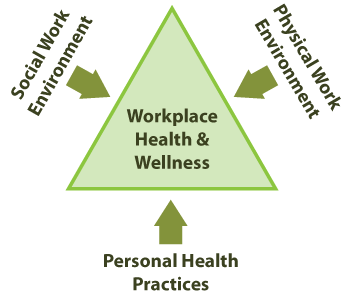 Given the attributes of employees described, however, a common thread is that they do tend to affect some of the best employees in any given organization, which highlights the necessity of making workplace health promotion a priority. 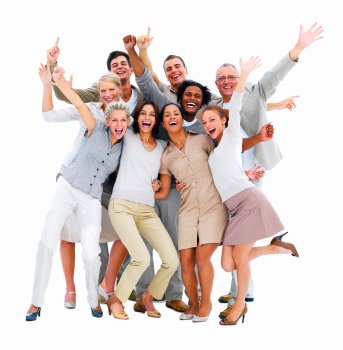 Over the course of your initial visits, a comprehensive history, assessment and workup is completed. This is to assess the fundamental physiological systems affected and to identify key clinical imbalances as it affects you, the patient. Your ND will discuss with you assimilation, biotransformation and transportation of nutrients, defense and repair processes in your body, your energy levels and the structural integrity of each component of your body as they pertain to your biochemical individuality and overall health. During the course of treatment, your ND will closely monitor your progress and discuss with you changes in your health status or working conditions that may be contributing to an ongoing level of preceived and realized unwellness. Your ND will discuss with you strategies to maintain and improve your level of health, while expediting return-to-work situations. The goal of the ND is to work with both the individual and the employer to reduce both absenteeism and presenteeism and enhance health of the individual and therefore the organization. NDs can also help with protocols for fitness-to-work evaluations, discuss with you concerns about any continued health impairments you might have, can be involved with the discussion as to the appropriate times for performance-initiated health reviews and also recommendations for job transfers that are more conducive to individual health. Your ND understands that rehabilitation is a team effort. In conjunction with your Workplace Wellness Consultant, the Nurse Manager, Supervisors and Occupational Health and Safety Committee, they can educate the said employee about injury prevention (lifestyle, body mechanics, fitness). Your ND can assist in determining the modified work parameters, type of work, hours to be worked based on the job task analysis and medical restrictions. We can also monitor the employee’s progress, and if possible, make recommendations about workplace ergonomics to facilitate the return to work process. Treatments will include a combination of dietary, lifestyle counselling re-teaching/re-training you to employ efficacious coping methods and develop resiliency to disease, nutrient and phytonutrient recommendations in light of the connection between the mind and body. If appropriate, Asian medicine and acupuncture, homeopathic remedies and physical therapy may be recommended, all with the understanding of how these interact with one another and how it may be a beneficial component/addition/adjunct/complementary to services you may be receiving, and advice that you may be getting, from other members of your healthcare team. Many employees requiring a modified work program is centered on musculoskeletal sprains and strains, chronic pain and joint concerns. Your ND can help expedite return-to-work by contributing to the amelioration of this discomfort in the short-term, and in the long-term discuss ways to help feed your body to heal accordingly and to prevent future injury. After working with you and evaluating your progress, your ND will collaborate with you and all members of your healthcare team to establish primary and secondary preventive health goals. Your input and commitment is both valuable and necessary in implementing your personalized healthcare plan. Your NDs goal is to work with you and develop one that will be manageable and sustainable for maintaining a new-state of improved health and wellness. For more information about how your ND can help you attain your healthcare goals, please contact our office directly. We look forward to hearing from you soon!